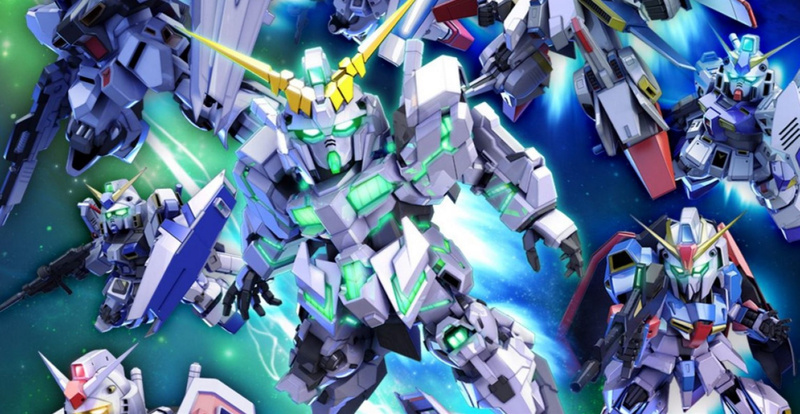 Originally released on PS4 and PS Vita back at the end of 2016 as part of the Gundam30th celebration, SD Gundam G Generation Genesis is finally getting another portable release, this time on Nintendo Switch. The caveat being it's currently only being slated for Japan with a 26th April release date and a 6,800 Yen price tag (that's about £45.50). The entry in the turn-based strategy subseries was also famed for being the first instalment to ever be released in English, so while a Japan-only release might seem a little one-sided now, the localisation (which includes English subtitles rather than new VO) already exists so a Western version is more than plausible. The Switch version also comes bundled with a copy of Super Gachapon World: SD Gundam X (originally released in 1992 on the Super Famicom), although that appears to be an early purchase incentive so it might not last forever. I happen to have a friend touring Japan in April. Think I will definitely pick this one up. I picked up a few gundam figurines when I was in tokyo years ago. Great game for on the Switch, won't get it myself because I already have the physical Vita version. Breaker 3 would be nice on the switch, or better just come with Breaker 4 please. Hopefully this'll mech it to the west. @OorWullie doubt it for 100%, the game has a lot of Japan/Asia exclusive licenses, Asian english variant would have the biggest chance to come out. 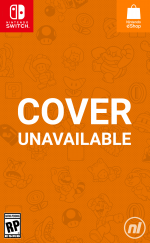 This is definitely coming to my collection, regardless of Western localization or not. Would love to play this game! I would prefer a shallow Gundam style action game on Switch. Be perfect for short journeys and the stop/start nature of portable gaming. Eh... Not a Gundam fan. But i prefer from this video. Doll by TERRA, Beatmania IIDX 11th style RED. Cool song from Konami with IIDX characters and Mechas to dramatize the song. @MartyFlanMJFan Cheers pal.I meant to ask, how you and your laddie getting on with the Switch? As good as you hoped, better? What's your favourite game? Just sent you a friend request btw. Mr Mustard is my name. @Rayquaza2510 With the Switch being region free I don't understand why devs don't include an English option in the games that aren't likely to be released outside Japan. At least for one's that aren't text heavy anyway. Whatever it costs them to translate will surely be made up for and more with extra game sales. Even if they use a cheap translator, it's better than nothing. Broken Engrish has its own charm anyway. Not a fan of SD Gundam. My takeaway here is a hope to see Gundam Versus (or something similar) on the Switch. So. Hyped. Day 1. Import. Even though I can’t understand a word of it, I really enjoy listening to ThebJaoanese language. This looks decent to me. I wonder if the gameplay is as accessible as advance wars? We need more Gundam games outside Japan period. Dynasty Warriors Gundam Reborn 2, when!? at leat engrish subs… please! @OorWullie hello! Sorry at work only able to reply now. I tell you, he is absolutely loving it. He's played all his games so far, really enjoying them all, ARMS being his most played followed closely by Splatoon 2. I've set up a profile for myself but I really haven't had much opportunity to play. He really wants Minecraft but I might wait just a bit as he has more than enough to play right now. We're going away for a couple of days this week and he's so excited at the thought of bringing his Switch! Thanks for asking! I ignored Gundam anime for 20 years but recently decided to watch and I was captivated.. so yes I’m excited for this as long as it gets localized. Can we hope for Super Robot Wars as well? @Dom They have confirmed that the Asian release will feature English subtitles. Even though only Japan for now, it still is a nice indicator that the Switch is really, really getting some major love from devs. Don't wanna rush it, but I hope there's lots of surprises in store for Switch this year in the west. if the reviews are halfway decent, i'll get this then. will fill the strategy gap left after disgea 5 and mario&rabbids. i recently read the whole gundam origins manga – highly recommend it! thanks for pointing this out! reviews seem really good! The super-deformed style seriously needs to go away, it's just such an eyesore to look at! An western localization did get announced. I love gundam so this one definitely has my interest. Just tell me a date and price Bamco. @OorWullie It won't. It may get an Asia version with English subtitles, though. @Platinumhobo It's not a localization. It just provides English subtitles. AFAIK, the quality of the English translations of these releases (Asia versions) in general isn't great. @Steven_the_2nd The Asia releases are for the PS4 and PS Vita versions. I hate SD Gundam and have disliked it since I was a child. SD Gundam takes the two things I love about Gundam, and ditches them. It ditches the complex themes and mature plotlines of the real shows AND it ruins the mecha designs. @Heavyarms55 "I hate SD Gundam and have disliked it since I was a child." Gundam Buildfighters Try must have been painful for you. I'm a Gundam lover too and have models, manga, animé etc.. personally I'd love to have a new Gundam Dynasty Warriors for the Switch (even a remastered port of the second one would be awesome). Not only did Gundam Dynasty Warriors actually improve on the Dynasty Warriors mechanics with actual story/character progression, but it celebrated Gundam's long history superbly... online was great too. Depending on how much/little English there is in SD G Generation Genesis Z Super .//hack, I might pick up a copy anyway. @DanteSolablood Build Fighters I don't dislike as much because at least for the most part they don't butcher mecha designs the same way. Also they have a lot of references to the real shows and I like that. It's dumb but it's kind of aware it is and has fun with it. SD is just trash on top of nonsense, lathered in vomit. I doubt this will make it to our side of the world. Nevertheless, I'd be super excited if it ever did. Good thing I didn’t get chance to import this. Getting for the switch. You're now 51st my friend!!! @hybridseed Haha nice one. I set that score in the Weekly High Score Challenge we have going in the forum. Take a look if you haven't already and feel free to join us. Danmaku Unlimited 3 is this week's game. Awesome, I just got home and got my import of Pripara All Idol Perfect Stage to get updating etc then will take a look in the community for sure!! Which character did you use? I'm all about, and seem to do best with Big Mamma!! !